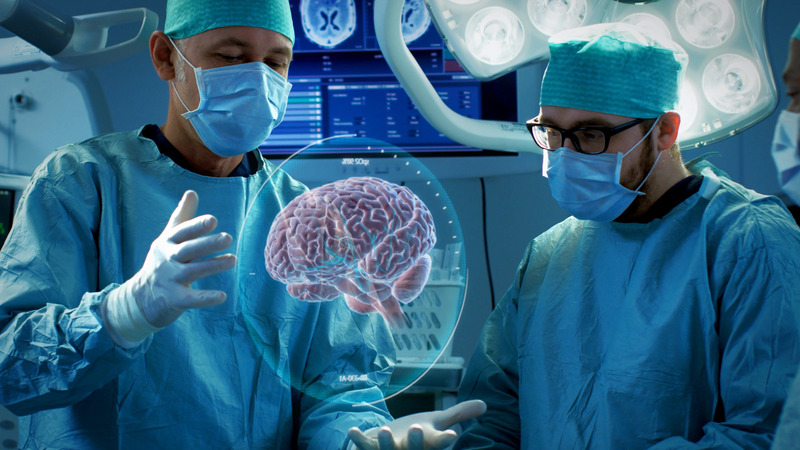 Surgeons Perform Brain Surgery Using Augmented Reality, Animated 3D Brain. Description: Surgeons Perform Brain Surgery Using Augmented Reality, Animated 3D Brain. High Tech Technologically Advanced Hospital. Futuristic Theme.Shot on RED EPIC-W 8K Helium Cinema Camera.